Vaisakhi is a famous religious festival celebrated by the Hindu and Sikh communities. The festival usually falls on 13 or 14 April every year. 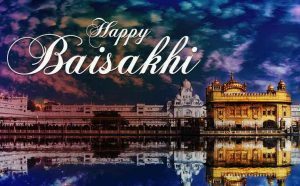 Vaisakhi is also referred to as Baisakhi. For the community of Sikhs, it is considered as a harvest festival. They celebrate to honour the creation of Khalsa panth. For Hindus, Vaisakhi is an old festival and symbolizes the holiness of rivers according to Hindu traditions. Though it is called by different names, the way the festival is celebrated is the same across all regions of the country. Vaisakhi is celebrated majorly in the north Indian states, including Himachal Pradesh, the Punjab and Uttarakhand. It holds special importance for Sikhs because of many reasons. The primary reason is that it symbolises the commencement of the solar year for them. In Punjab, it is a very important day for farmers since it is an agricultural-based state. Farmers convey thanks to the God for better crops. On 14 April 1699, Guru Gobind Singh, the 10th Sikh guru, established the Khalsa Panth. This is another reason. In 2019, Vaisakhi falls on 14 April and in 2020 it falls on the same date. Guru Amar Das was the third Sikhism guru in the World. He chose Baisakhi as one of the three festivals to be celebrated by Sikhs. Diwali and Maha Shivaratri are other two festivals celebrated by the Sikhs in India. The real truth of the festival is connected with the ninth Sikh guru. Aurangzeb, the Mughal ruler, decapitated the ninth guru publicly. The Mughal ruler only wanted Islamic religion and culture in India. Tegh Bahadur, the ninth Sikh guru, was seen as a major threat by the Mughal ruler. After the demise of Guru Tegh Bahadur, Gobind Singh, the son of Guru Tegh Bahadur, became the tenth guru. In the year 1699, the tenth guru had chosen Vaisakhi as an event to transform Sikhs into a soldier saint’s family, which is also called the Khalsa panth. On Vaisakhi Diwas Sikhs wakes up early in the morning, take a bath, wear new dresses and make a visit to the nearest gurudwara to submit special prayers. And than followed by singing, dancing and wearing new clothes to celebrate the festival. Sikh Men perform the Bangra dance form whereas women perform the Gidda form to cheer the event. Sikh community makes holiday meals and sweets and distributes among themselves. It has been a special day for Sikhs, who carry processions and celebrate the day with great respect and courage. Vaisakhi is grandly celebrated in Haryana and Punjab, the northern states of India. Gurudwaras shall be visited by Sikhs in the morning to attend the common prayer. The Granth Sahib shall be bathed in milk. Food, fruits and Sweets are distributed to everybody. Punjab: If you want to see the real feel and experience the beautiful festival celebrations, consider visiting Punjab during Vaisakhi 2019. Like Delhi, the state organizes dance and singing concerts. The festival meals are being served by restaurants. One must visit the state. Haryana: Haryana conducts a mega mela every year. Many people visit this state to take part in Vaisakhi mela, which is very popular across India. Besides, several competitions are organised for school kids. In the evening, singing and dance competitions are organised for elders. Amritsar: If you are in hunt for the best place to celebrate Vaisakhi 2019, the best choice is city of Amritsar. In fact, it is visited by thousands of Sikhs every year. Golden Temple of the city is the place where the basis of Khalsa was laid by Guru Gobind Singh, who was the tenth Sikh guru. Visitors perform special prayers on the day. Delhi: Delhi, the capital city of India, hosts various events and functions throughout the city to celebrate the day. It is also visited by many people from various parts of India. People gather at gurudwaras to perform special prayers and exchange festival gifts and greetings. Delhi also organises Vaisakhi parties. Chandigarh: Chandigarh city is one of highest visited destinations during this festival. Tourists visit gurudwaras of the city and pray to the God. Like Haryana, they can enjoy singing and dance concerts in the evening. Jalandhar: The city of Jalandhar celebrates Vaisakhi attractively. The main festivities include dancing, singing, etc. Both men and women perform folk dances. While the festival is mostly celebrated in Punjab, it is also observed in some parts of Himachal Pradesh and Uttarakhand. Baisakhi holds special importance for the Sikhs and the Punjabis for four reasons. – It marks the beginning of the harvest of rabi crops and also of their solar year. – In 1699, on this day only, the 10th guru of Sikhs, Guru Gobind Singh founded the Khalsa Panth. – Guru Gobind Singh, on the same day, converted the first batch of his disciples into Singhs. – In the year of 1699, the long tradition of gurus in Sikhism ended and Guru Granth Sahib was established as the eternal guide for the community. 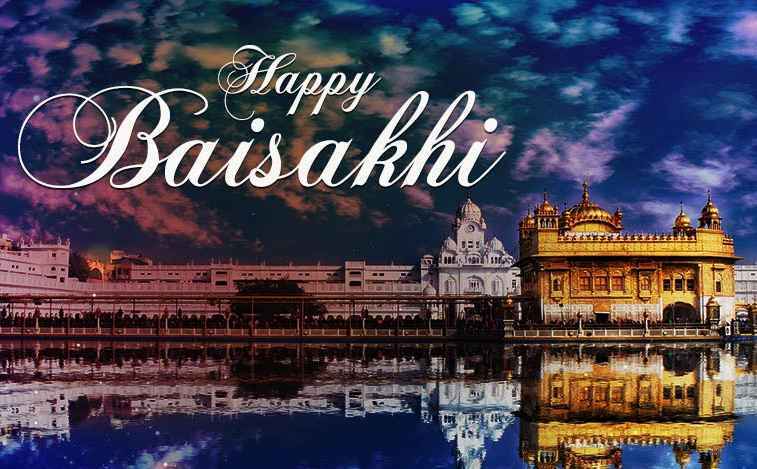 Baisakhi is a very precious festival for Sikhs. It is the celebration of the ‘New Year’ according to Nanakshahi calendar. On the festival day, schools and colleges are closed. The commercial outlets owned by Sikhs are also majorly closed or they can have limited operating hours of shorter duration. The festival has no effect on public transport. Over 2,200 Sikh pilgrims from India had gone to celebrate Baisakhi festival at Gurdwara Panja Sahib in Rawalpindi district. India and Pakistan have announced opening the Kartarpur Corridor on the 550th birth anniversary of Guru Nanak Dev. It will be the first Sikh Jatha to go to Pakistan after the Indian Air Force airstrike on Jaish-e-Mohammed’s advance training camp in Khyber Pakhtunkhwa’s Balakot area in Pakistan. The Balakot operation was following the Pulwama terror strike which was claimed by Pakistan based JeM. The terror act and the subsequent airstrike resulted in heightened tensions between the two countries. Bollywood heartthrob Vicky Kaushal attended an award function in Mumbai and also celebrated the Baisakhi festival. It is the harvest festival of Punjab.